Please join us in reciting the rosary every morning (Monday through Saturday) at 7:35 am before daily Mass. It is a beautiful and spiritual way to start your day. Saint Peregrine is the patron saint of Cancer patients and we will be praying through the intercession of St. Peregrine for those who have Cancer and those who are Cancer survivors. If you would like to have your family member or friend to be prayed for during the St. 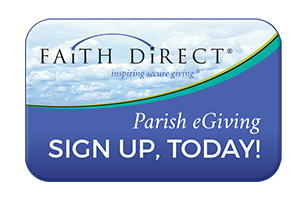 Peregrine Devotion, please feel free to call the Parish Office at (562) 424-8595 with Names (*last name is optional). All are welcome to join us. The novena is every First Friday of the month at 4:15 PM, during Adoration of the Blessed Sacrament here at St. Barnabas Church. Every day following weekday Mass, we invite you to join us in singing the Divine Mercies. It starts about five minutes after Mass (around 8:35 am). It can be the best fifteen minutes of the day. If you can not join us, perhaps you can join the Divine Mercies on EWTN television at noon.